Bali's Ngurah Rai airport will remain closed until at least Wednesday morning local time. "The Volcanic Ash Advisory shows that the plane routes have been covered by volcanic ash, this is dangerous for the flights," Indonesian AirNav official Wisnu Darjono said. Indonesia has warned the first major eruption of Mt Agung on the tourist island of Bali is imminent, with authorities closing the airport and ordering 100,000 residents living near the volcano to evacuate the area immediately. But thousands haven't left despite authorities raising the alert to its highest level, and forcible evictions may be enforced, a spokesman for the country's National Disaster Management Agency (BNPB) said. "There are personnel doing the sweeping, if they [residents] need to be forcibly evacuated," Sutopo Purwo Nugroho said. The airport was originally closed for 24 hours from Monday morning, disrupting 445 flights and stranding about 59,000 passengers, after Mount Agung sent volcanic ash high into the sky. Officials said cancellations could be extended. "Plumes of smoke are occasionally accompanied by explosive eruptions and the sound of weak blasts that can be heard up to 12km from the peak," the Disaster Mitigation Agency said in a statement after raising the alert from three to its highest level of four. "The potential for a larger eruption is imminent," it said, referring to a visible glow of magma at Mount Agung's peak overnight and warning residents to evacuate a danger zone at a radius of 8-10km. Video footage shared by the agency showed volcanic mudflows (lahar) on the mountainside. Lahar carrying mud and large boulders can destroy houses, bridges and roads in its path. 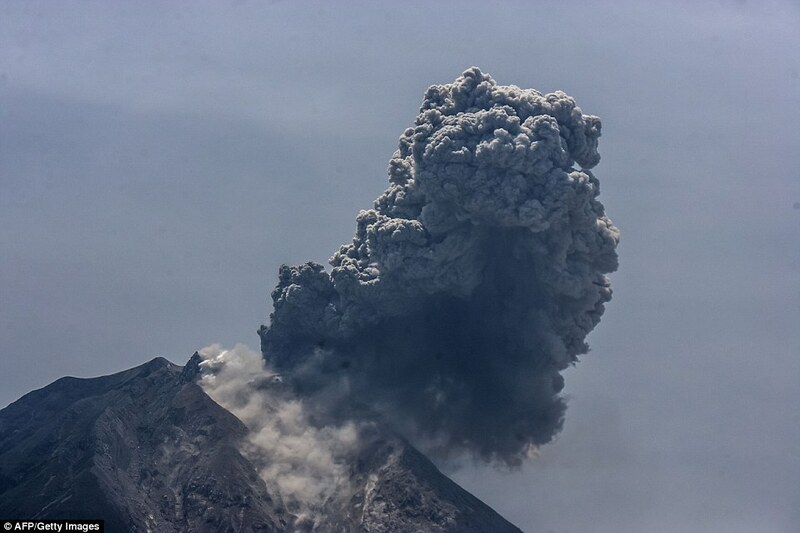 Bali airport, about 60km from the volcano, will be closed for 24 hours, its operator said. Virgin Australia said it was cancelling flights on Tuesday, while Jetstar was offering to exchange Bali bound tickets for other destinations.